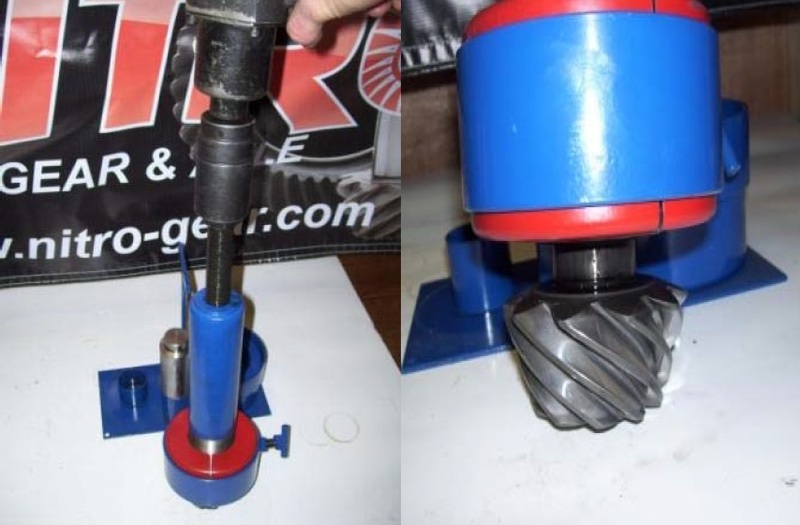 This tool allows you to quickly and easily remove differential bearings with minimal risk of damaging them. If you have never had the pleasure of using this tool, you will quickly find it to be the most useful rear end tool you can own. 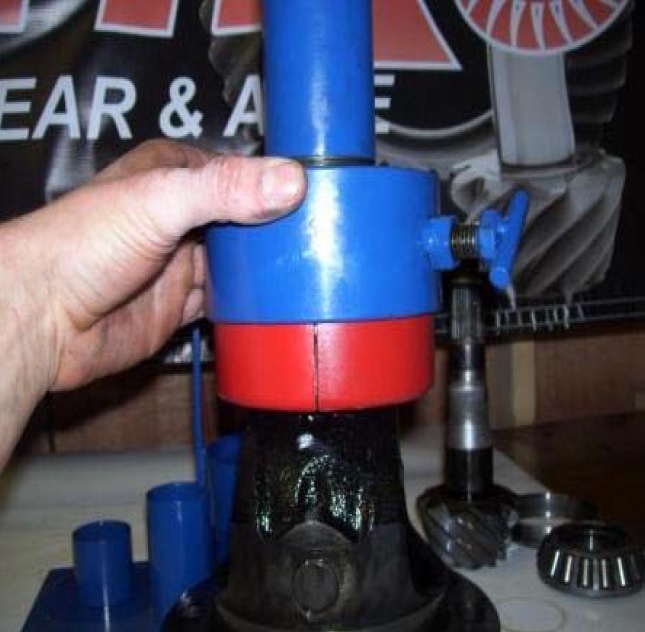 With proper care and use the tool will last you many years and help you get perfect setups every time. 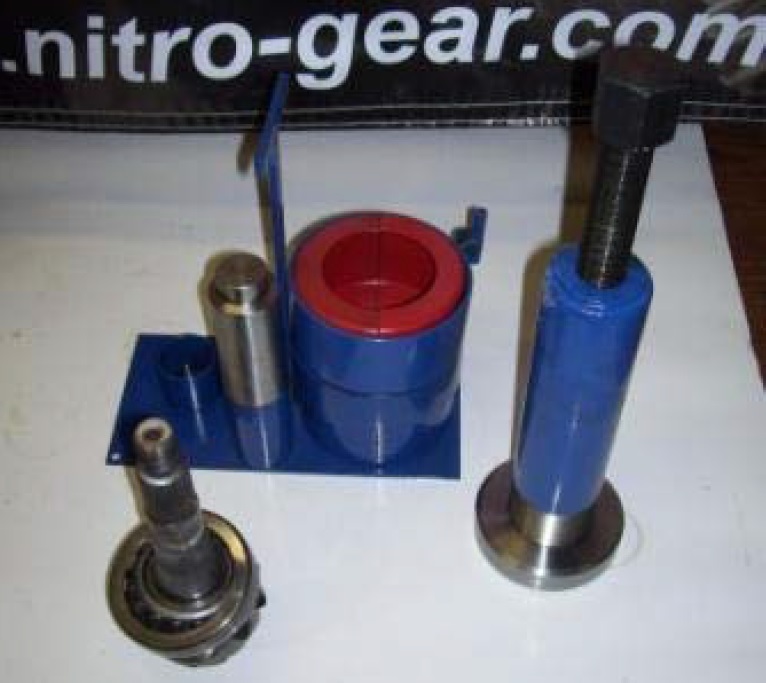 If you have any questions on how to use this tool do no hesitate to call Nitro Gear and Axle or JT's Parts & Accessories. The simple design of this tool is the genius of this tool. 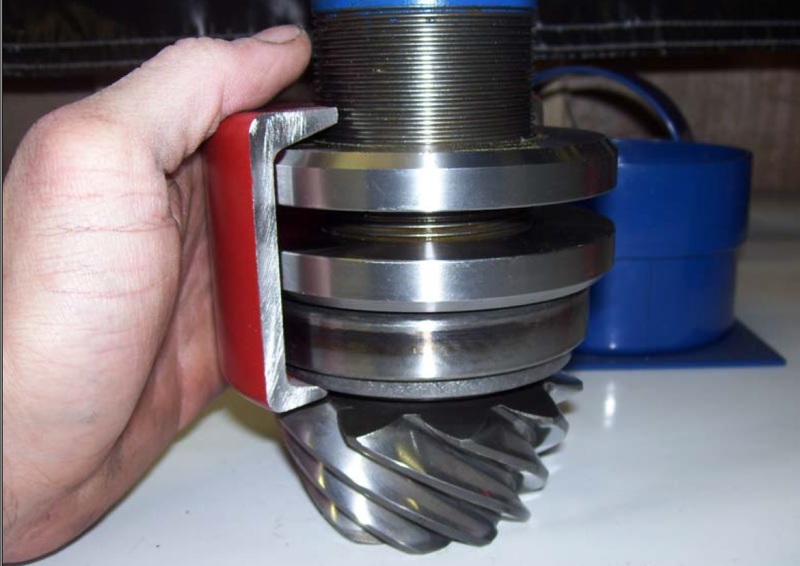 Two clam-shell halves grab the cage of the bearing while the race holds equal pressure on the cage allowing you to remove the bearing without deforming the cage or damaging the bearing. 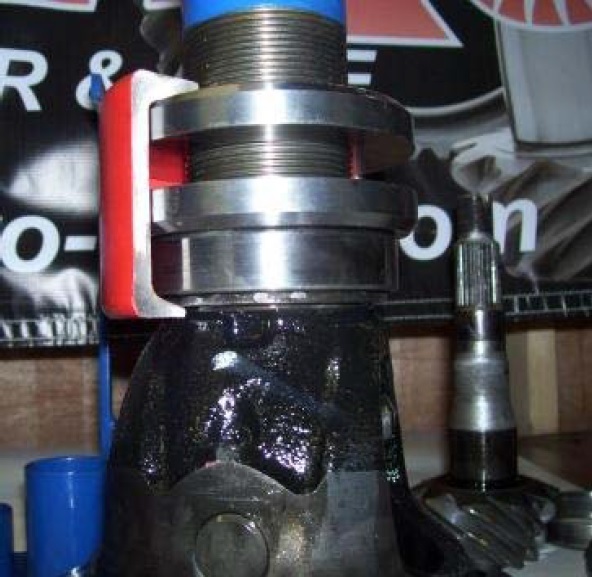 Pinion bearing removal: Insure that the race is on bearing, place tool on bearing, screw bottom adjuster down so that it contacts the race as shown. 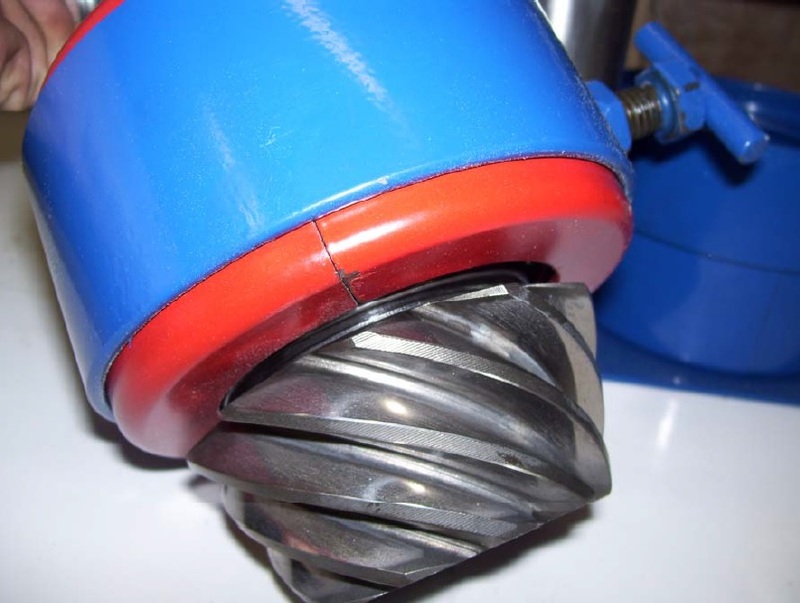 Choose best fitting clam-shell and slide it under the bearing cage. Proper clam-shell size should fit as tight as possible while still allowing the clam-shell halves to come together. Then screw the top adjuster upward until it is tight to the top of the clam-shell. 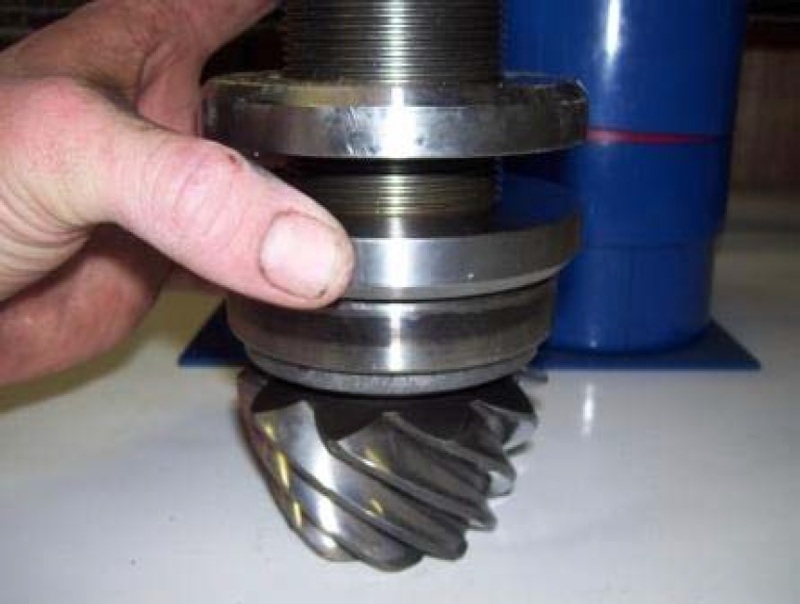 There should not be upward or downward movement when you lift up on the tool. Slide the second half of the clam-shell into place, and slide the locking collar over the clam-shell halves. Set the lock screw to keep the halves from separating. 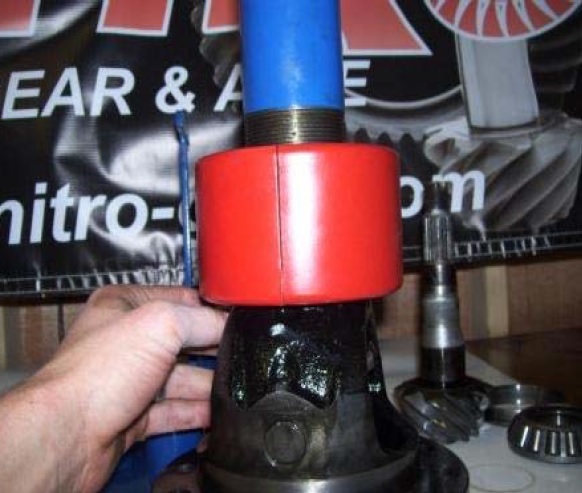 Use 1/2" Impact Gun with a 36mm socket to drive the bearing off. 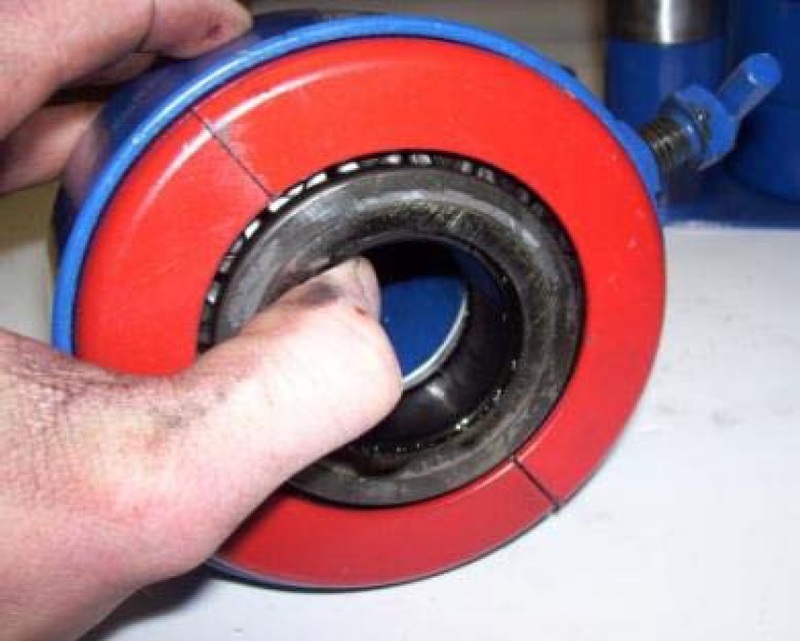 Notice how the bearing is captured by the halves. 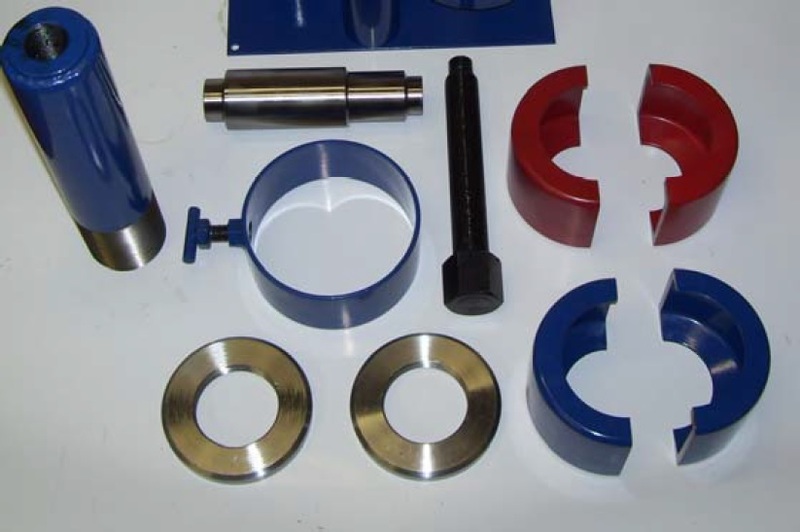 Carrier bearing removal: Place the adapter slug in the carrier for best fit there are 3 different machined surfaces for fitting different carriers. 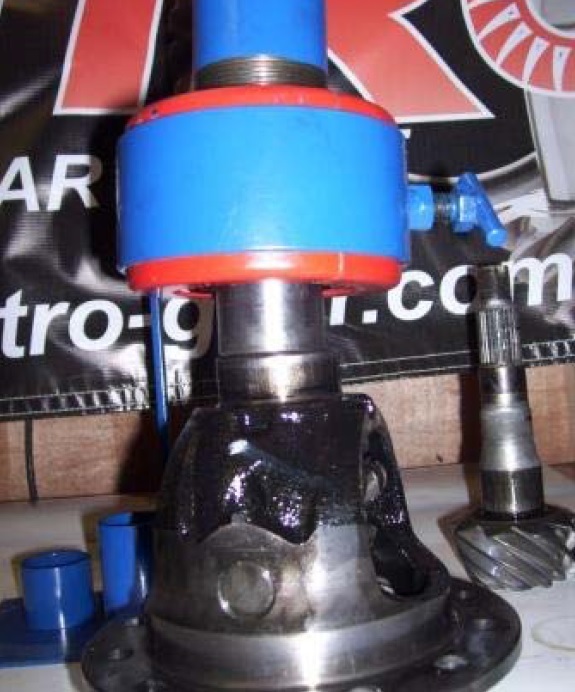 Place body of puller over adapter and screw bottom adjuster down onto race, slide clam-shell half on and screw top adjuster until it contacts clam-shell. Slide locking collar over clam-shell halves. Use impact to pull bearing off. 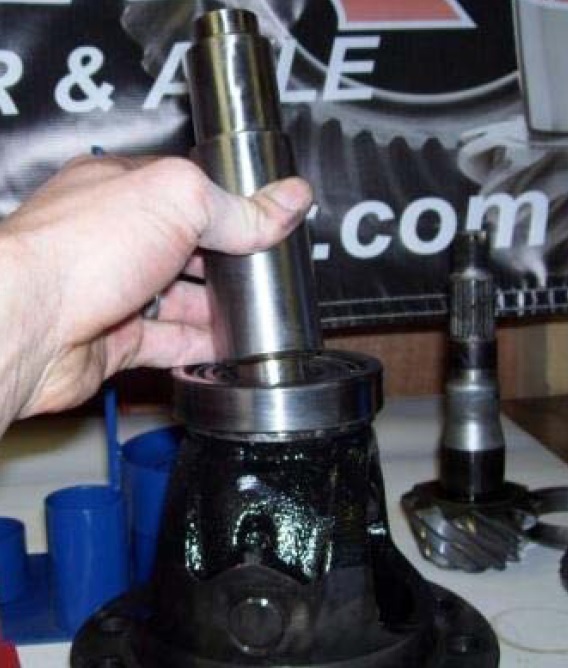 With this tool you now have the ability to remove nearly every differential bearing with out using a bearing spliter and risking damage to the bearings. 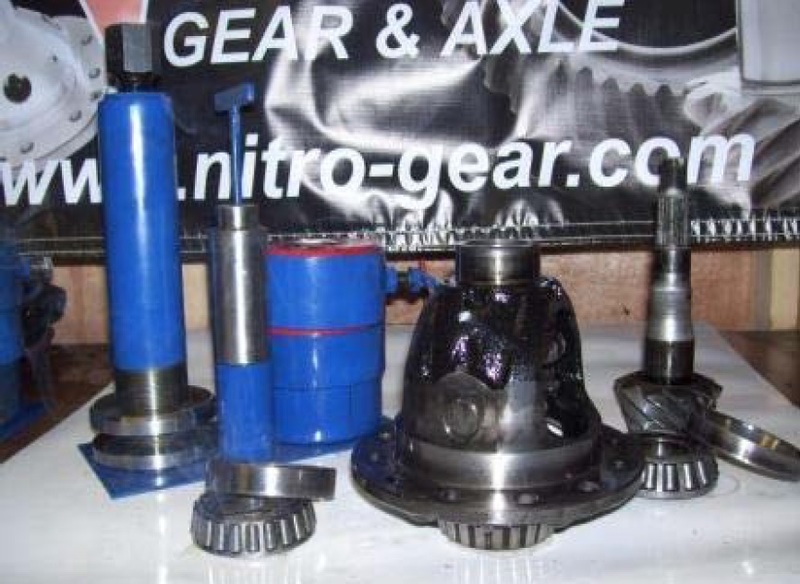 Thank you for choosing Nitro Gear and axle for your differential needs.